Are you ready for #GivingTuesday 2015? This annual day of generosity continues to grow, and we expect this year’s event to be even bigger. According to a recent webinar poll, 30% of nonprofits are planning to participate in #GivingTuesday for the first time and 39% are planning to do more for #GivingTuesday than they did last year. 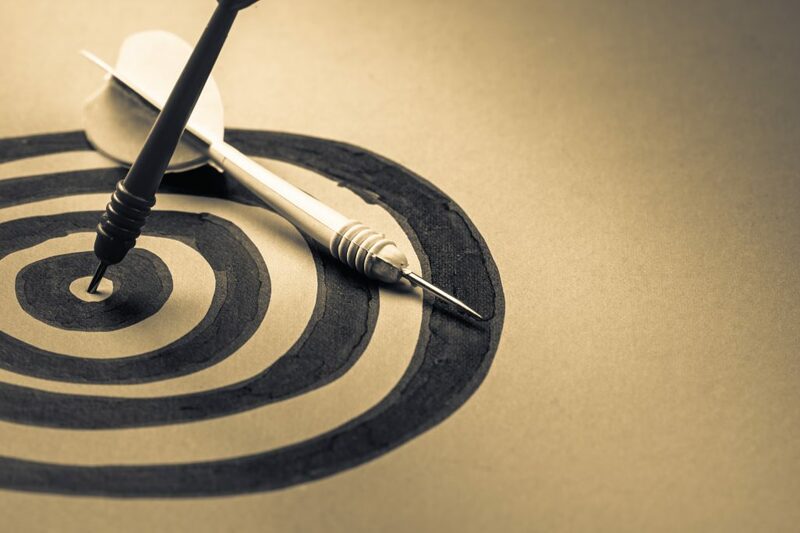 Whether you’re launching your first #GivingTuesday campaign or planning a triumphant return, the first step in planning your success is to set your sights on a clear goal for your team and supporters to rally around. The first step in planning your success is to set your sights on a clear goal for your team and supporters to rally around. Think about what kind of campaign you’d like to run this year and which goals make the most sense based on your approach. If you ran a #GivingTuesday campaign last year, you have a benchmark you can use to make 2014 plans. If you’re in your first year, you’ll need to base your goals on what you know about your past campaigns and donors. Another way to plan your overall donation goal by using a giving pyramid. 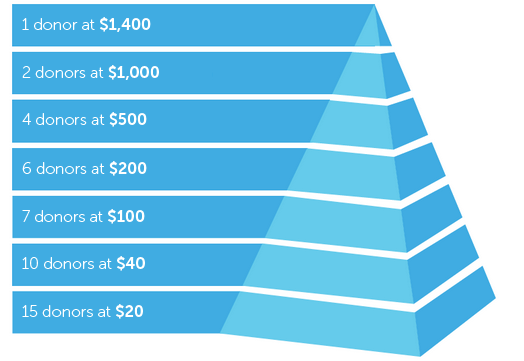 A giving pyramid allows you to visualize and breakdown your donation goal by donor level. Creating the pyramid helps you sanity check your goal by plotting it out, rather than just guessing. Map out a giving pyramid using your dollar goals and your number of donors. If it feels ambitious but achievable, then it is a great place to start with a first year goal. If it seems too easy to achieve, boost the dollar amount. Too much of a stretch? Dial back. 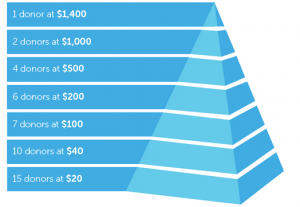 Want to build your own #GivingTuesday donor pyramid? Download our template and input your goals, number of current donors, and expected response rate and we’ll do the calculations for you. Make this #GivingTuesday your best yet! Kick off your year-end fundraising with our tools, training and matching funds. It doesn’t matter if your organization has 2 staff members or 200, you can raise money on #GivingTuesday and we can help. Free #GivingTuesday resources are available to all nonprofits through Network for Good’s All TUEgether campaign. Network for Good customers can leverage matching funds for all donations made on December 1, 2015. Plus, customers have access to expert coaching, new donors, and exclusive resources to help plan a stellar #GivingTuesday campaign. Not a Network for Good customer yet? No problem. Sign up for a demo and find out how easy it is to raise money online. Get ready to have your best giving season ever.